SSA Gujarat Teachers Recruitment 2018: SSA Gujarat Recruitment 2018 Teacher, Warden, Accountant Vacancies. 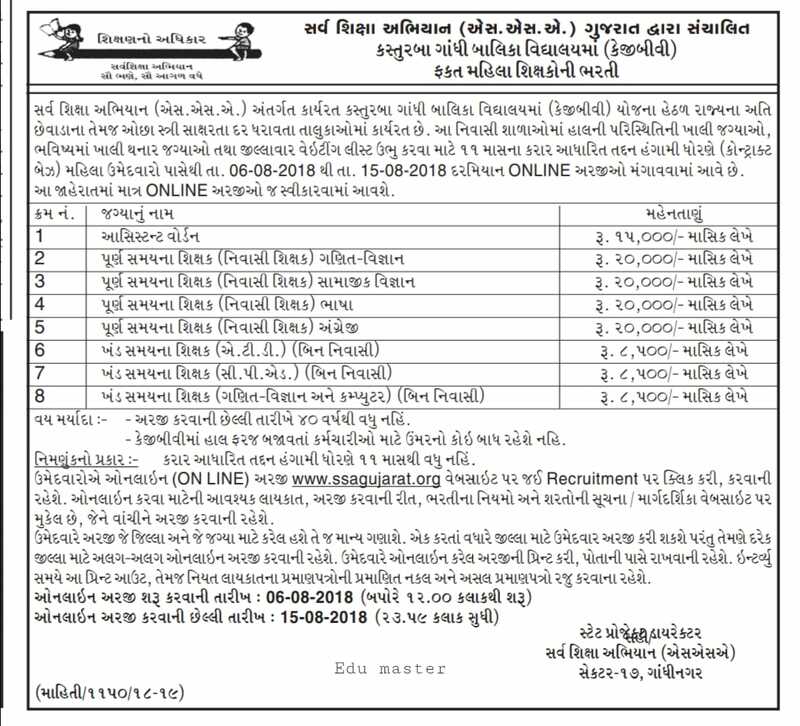 Gujarat Council of Elementary School, Sarva Shiksha Abhiyan was known as KGBV Gujarat Teachers Recruitment 2018 has planned for the recruitment of Various Accountant Vacancies and released official employment advertisement. This is the very helpful update for the job seekers looking for Latest Gujarat Govt Jobs 2018. According to SSA Gujarat Warden Notification 2018 indicates that PTC / B.Ed, B.Sc, B.Com Degree or Its equivalent qualification from any recognized institution/board with a minimum pass percentage of marks is the required educational qualification. Contenders upper age limit should not exceed 40 years as on the last date of application submission.